The executive administrator for the Wood River Valley chapter of the National Alliance on Mental Illness has been charged with a credit-card-related felony in Boise. Carla Jean Young, 51, was scheduled for an initial court appearance Tuesday in Ada County Magistrate Court on a felony charge of fraudulent possession of a financial transaction card. According to Ada County Sheriff’s Office records, she was arrested on Wednesday, Dec. 5, and released later that day after posting $20,000 bond. The arrest followed a warrant issued on Oct. 12, stemming from an investigation by the Boise Police Department. Boise police spokesman Charles McClure declined on Monday to identify the employer from whom Young allegedly took the card. NAMI-Wood River Valley announced on Nov. 5 the hiring of Young as the chapter’s executive administrator, serving out of the nonprofit organization’s office in Hailey. Prior to that, Young was employed as office manager for the Boise chapter of NAMI. 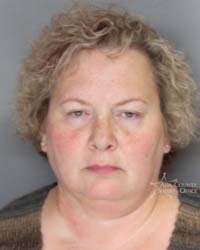 According to Ada County online court records, available through the Idaho Supreme Court website, Young had a prior felony conviction in 1995, when she pleaded guilty to a charge of “grand theft by unauthorized control.” Records state that Young in that year was given a suspended five-year prison sentence and placed on probation for five years.